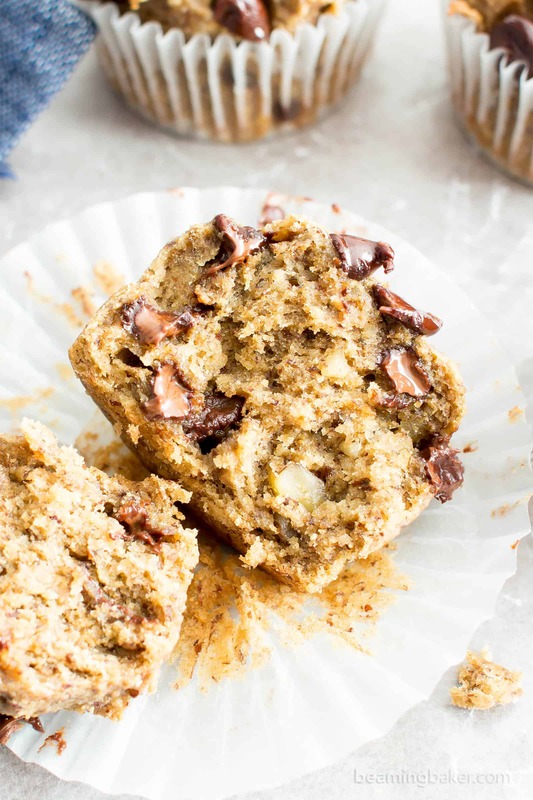 Moist Banana Chocolate Chip Muffins (V, GF): a one bowl recipe for perfectly moist banana muffins bursting with chocolate chips! Vegan, Gluten-Free, Dairy-Free. 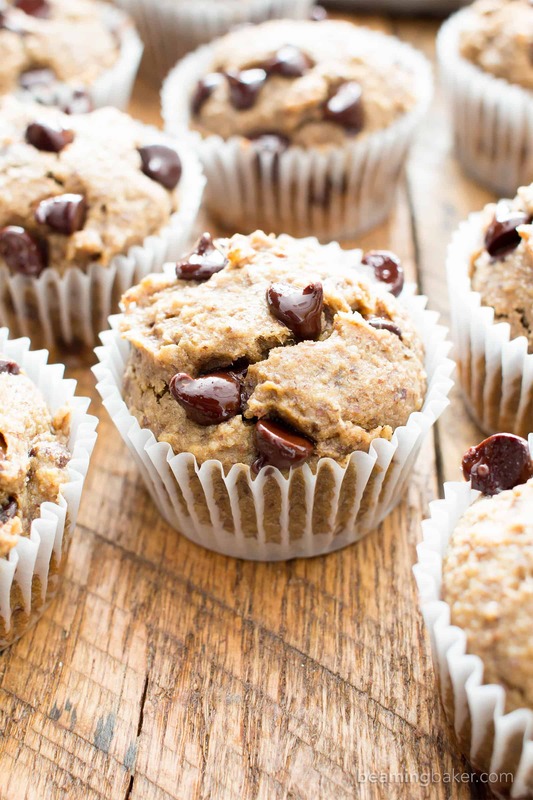 When was the last time you had a fresh, homemade muffin for breakfast? 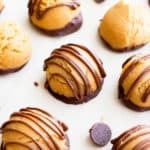 If you haven’t had it in a good, long while, you’ve GOT to make these. Like, right now. 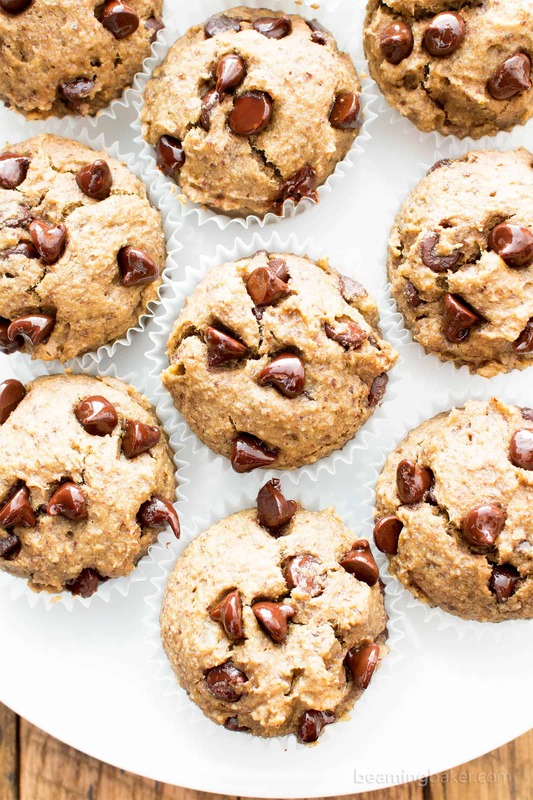 And while you’re at it, you can also whip up some of these Easy Gluten Free Dark Chocolate Muffins and these One Bowl Double Chocolate Banana Muffins. And if you’re actually in the mood for something more… say, lemon-y, try my deliciously moist Healthy Lemon Poppy Seed Muffins Recipe. ???? The thing is, I’m not a morning person. Like, at all. Way back during my college days, I wouldn’t even consider an 8am class because it was too friggin early! And even when I had no choice, I’d sit in that class—scratch that—I’d sleep through that class and still be walking around in a daze until 11am. Yes, there are far too many professors who can confirm this. But now that I’m a certified, card-carrying adult, I actually wake up pretty early every day: 5:58am EARLY. Why yes, it’s exactly 5:58am. Because for some reason, that extra 2 minutes into 5am makes me feel more like I’m waking up at 5am and not 6am. And that for sure counts as an extra hour in the day, right? She was judgy!!! Heh heh. What’s up now, college me?!? That instant ramen and 2-day-old left-out-the-entire-time pizza is not lookin’ so good and superior now, is it? 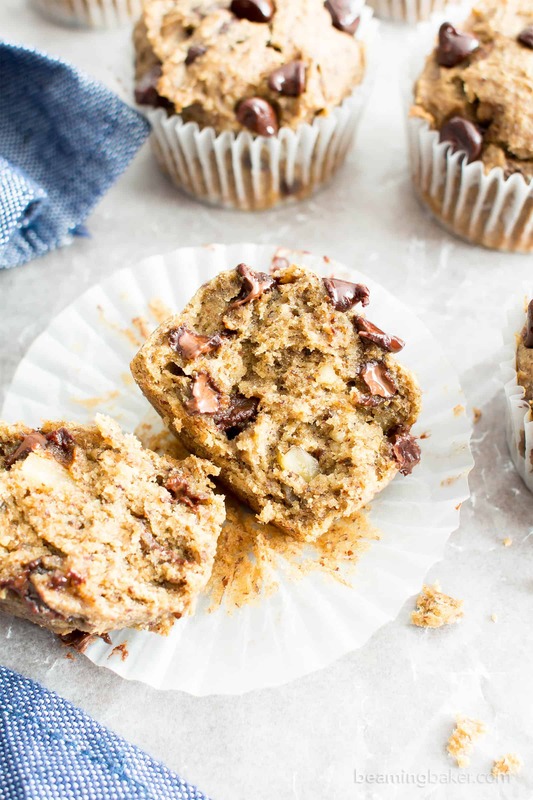 Now I get to wake up/must wake up (who am I kidding) early to make delicious treats like homemade chunky paleo granola with clusters and these moist banana chocolate chip muffins. They’re better than waking up at 10am, rolling into class still super foggy, then staying up til 3am for a last minute cram session and party (for good measure). 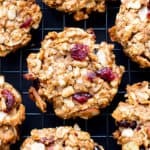 They’re better than those store-bought, totally guilt-inducing, heavy & overly sweet muffins that drag you down all day. They’re better than anything you can buy on your way to work. They’re better because you made them. 🙂 And you know exactly what goes in each vegan and gluten free moist banana chocolate chip muffin. 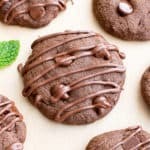 They’re moist (in case you haven’t caught on yet), perfectly balanced between deliciously fluffy and satisfyingly dense, bursting with melty chocolate chips and just the right hint of nuttiness. They’re about ready to rock your entire set of morning socks off! 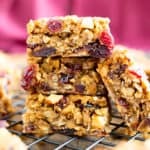 or an afternoon healthy allergy-friendly snack! 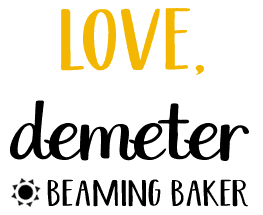 What flavors of muffins would you like to see on Beaming Baker next? Preheat oven to 350°F. Line a 12-cup muffin pan with muffin liners. Add peeled bananas to a large mixing bowl. 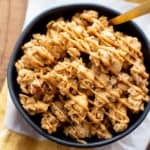 Using a sturdy whisk or fork, mash bananas until smooth. Add remaining wet ingredients: oil, sugar, flax egg, and vanilla. Whisk until well incorporated. Add all dry ingredients: oat flour, almond meal*, baking powder, baking soda and salt. Whisk together until just incorporated, making sure no flour patches remain. 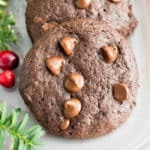 Fold in chocolate chips and walnuts, if using. Using a large scoop, scoop and drop batter evenly into muffin cups. I use this ice cream scoop for easy scooping and a beautiful domed top**. If needed, smooth batter into an even layer, with a domed top (rise) in the center. 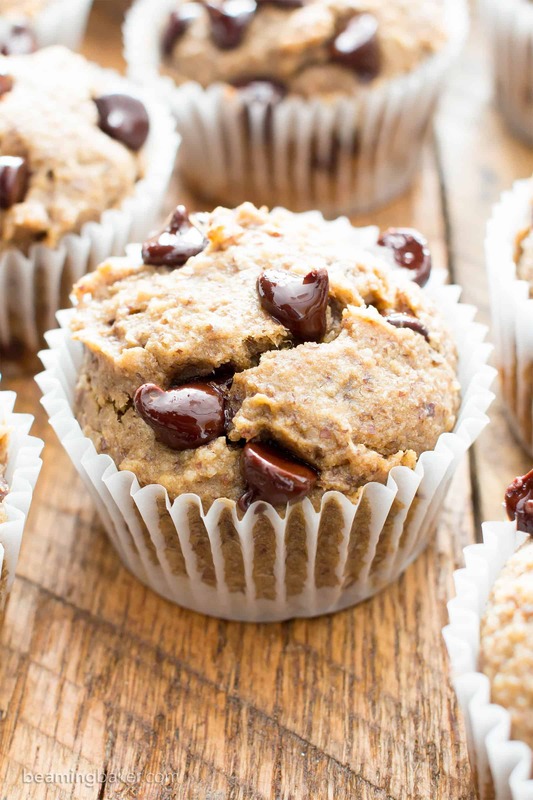 Optional: sprinkle chocolate chips on top of the muffins. Bake for 16-22 minutes. Mine took 18 minutes. Allow to cool on a cooling rack for about 1 hour. Lift out and enjoy! 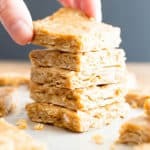 - *To substitute almond meal with oat flour: use a TOTAL of 1 ¾ cups + 2 tablespoons gluten free oat flour. Muffins will be just a touch drier and not as fluffy, but still good! **I like to use this ice cream scoop to scoop and drop one scoop of batter into each muffin liner. This scoop helps control the batter, prevent messes and gives you a nice rounded top. Tip: after dropping scoops, lightly tap the pan to even out the batter. 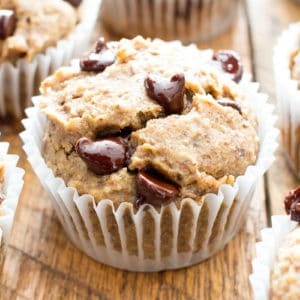 - Freezing instructions: These muffins freeze well. Store in an airtight, freezer-friendly container for up to 1-2 months. Allow to thaw at room temperature for 15 minutes before enjoying. Or, heat in 15-second increments in the microwave until warm. 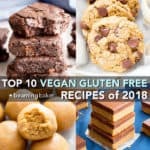 - More gluten free muffin recipes: banana nut muffins, dark chocolate muffins, maple pecan pumpkin muffins. Can you make it on a cast iron pan like cookie skillet? If so, what size would you recommend and cooking temps & time? Thanks! Hi just found your blog. Am thinking about making this for my friend’s baby’s 1st birthday cake smash. She has some allergies and other restrictions. I can’t make with chocolate or blueberries. Any other suggestions for add-ins that wouldn’t be too sweet but would go well with this? Thanks! Hi Katie! How about some chopped strawberries? 🙂 Enjoy! i just made this today and I’m absolutely obsessed- so is my gluten-eating family who always skips over my GF baked goods. I was wondering if there was a way to make these into jumbo sized muffins? How could I do that? Just add to the baking times? Or would it not rise if it was made into jumbo tins? Hi Sarah, that’s so wonderful to hear!!! I’m awake extra pleased when non-GF, non-V folks can’t resist! For Jumbo: I’d say bake them for about 25 minutes, depending on the size of the pan. Enjoy!! 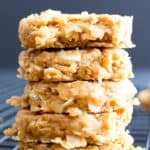 I made these with GF Rice flour instead of GF oat flour and otherwise followed the recipe to a tee and they were absolutely delicious! So soft and moist and tasty!! 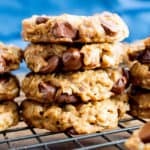 Hi do you know a good substitue for gf oat flour?